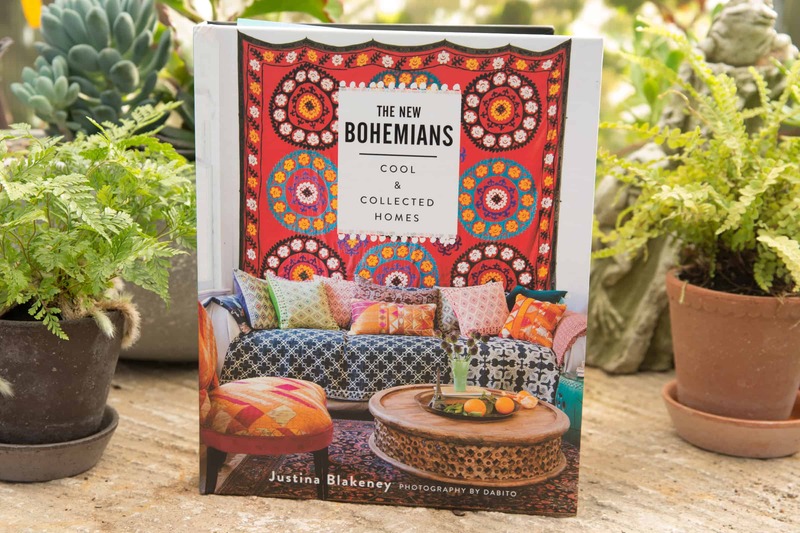 Author of The New Bohemians, Justina Blakeney writes, “Relaxed and airy, informal with rustic details, the earthy bohemian home is just the place for those whose feet are on the ground but whose heads are in the stars.” Read more about this eclectic style in her books in the “boho” corner of Calgo. 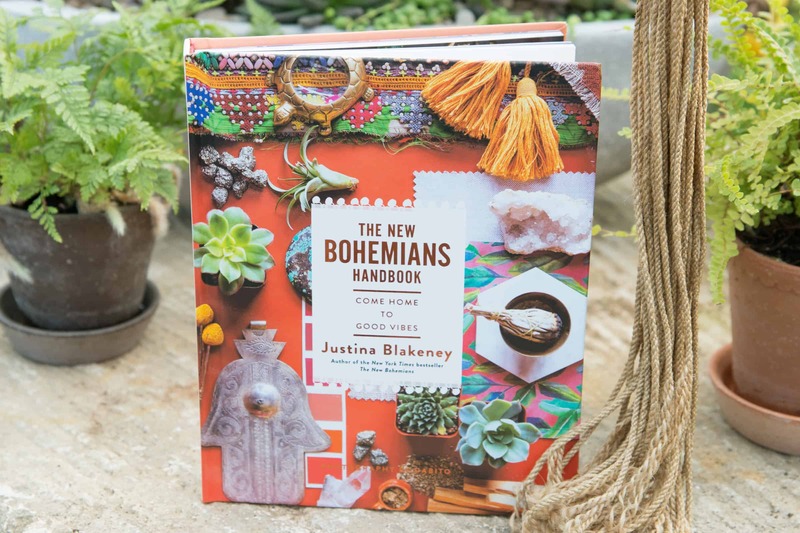 When you need to express your individuality in a multitude of colors, patterns and textures, then bohemian style is for you. 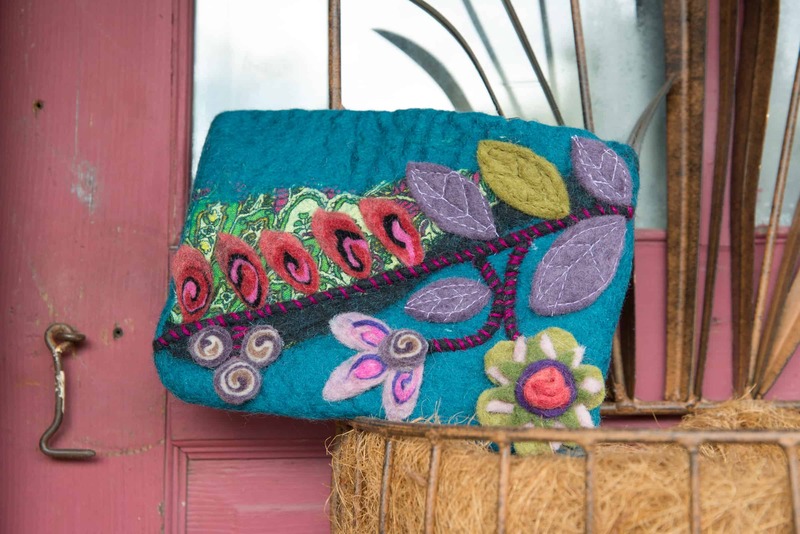 A combination of objects, color, patterns and textures are the basis for creating this look. Warm, earthy tones mixed with jeweled and metallic accents form the background for the collections curated from your travels through life. 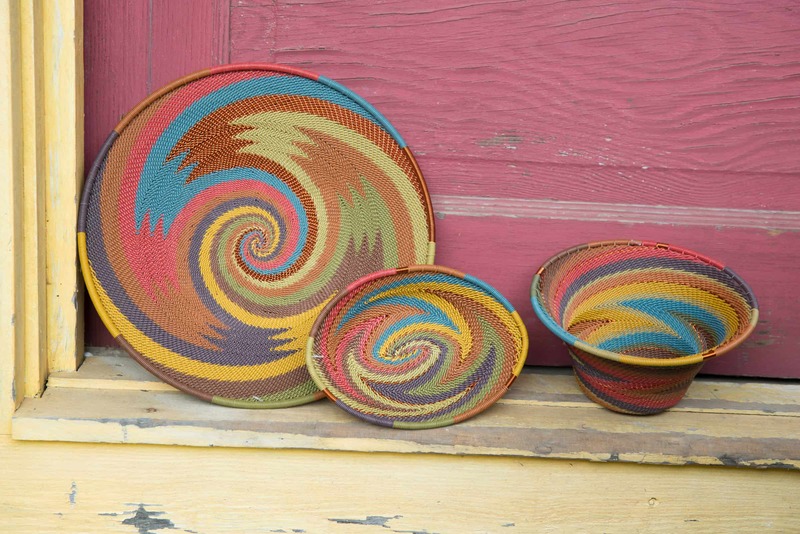 Choose two or three colors that show up in the patterns and repeat them throughout your décor. Then layer those colors all through your house. Add natural elements to your collections. 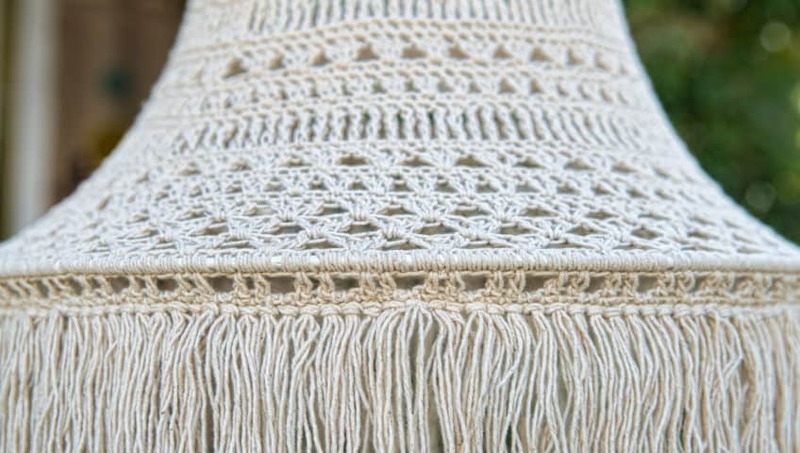 Think macramé, hand woven, crochet and handmade. 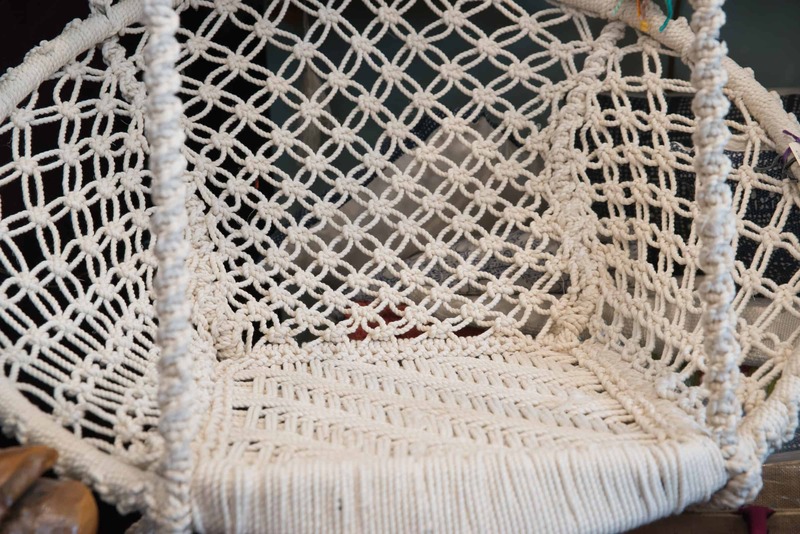 Our macramé swing is the perfect piece to add to a cozy, inviting corner. 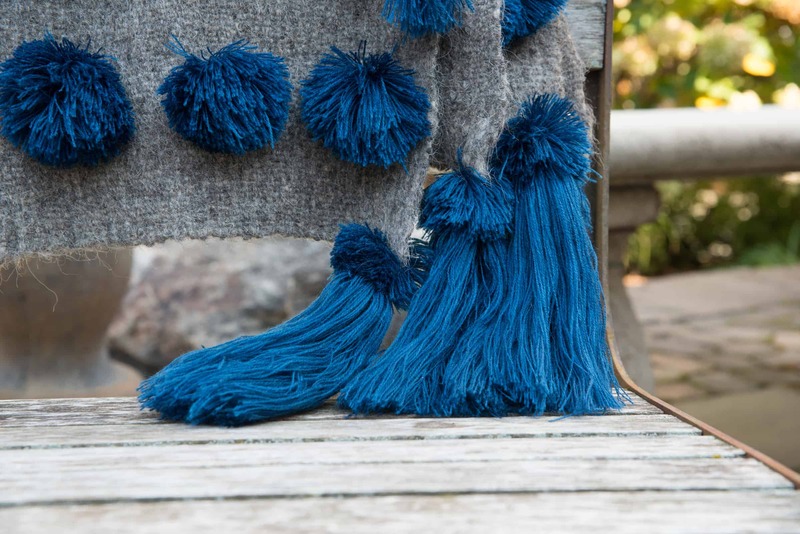 Add drama with wall hangings and tapestries. Be creative with the pieces you choose. 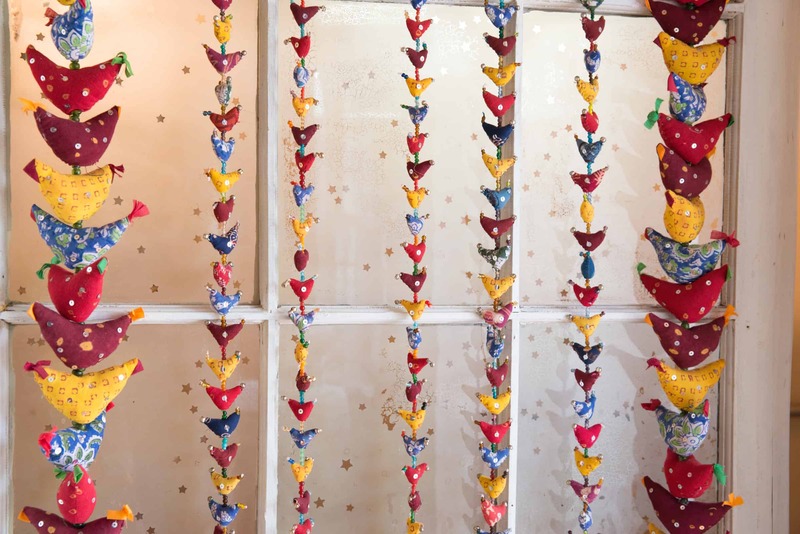 Use handfuls of handmade and colorful garlands to a window valance. 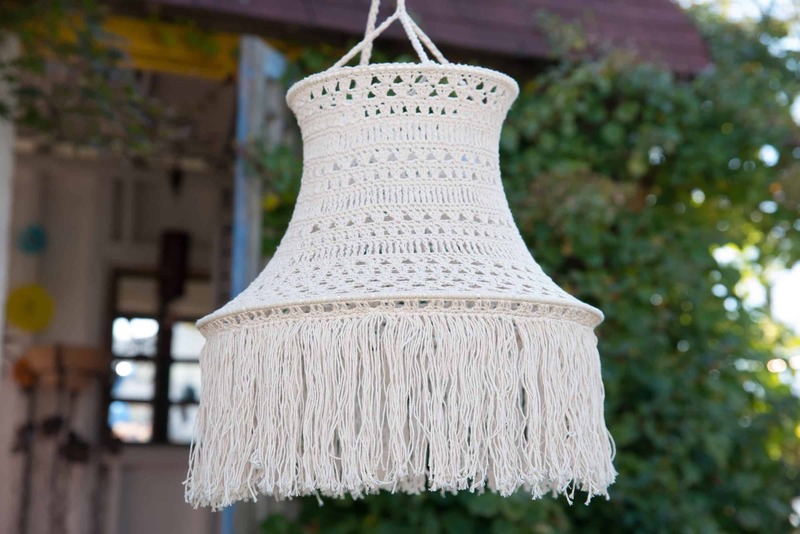 More is more with the Boho philosophy. Fill every space with items you love to create the story of your life. 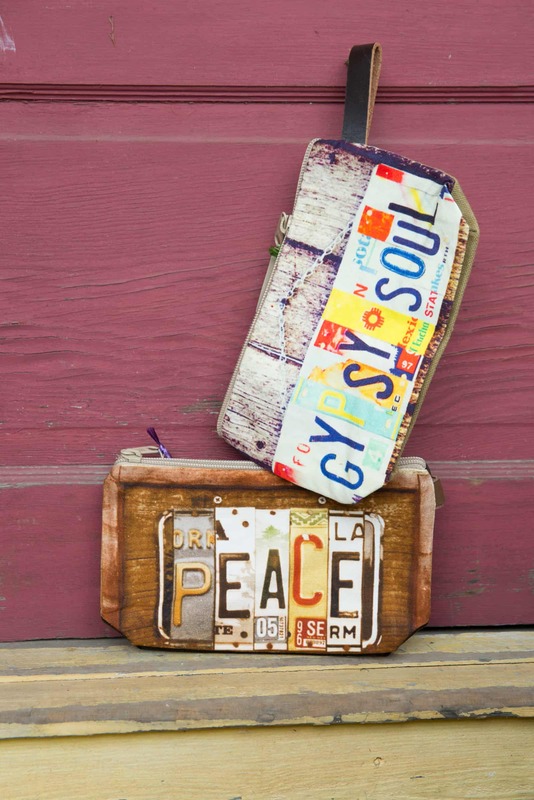 An eclectic lifestyle is what bohemian life is. 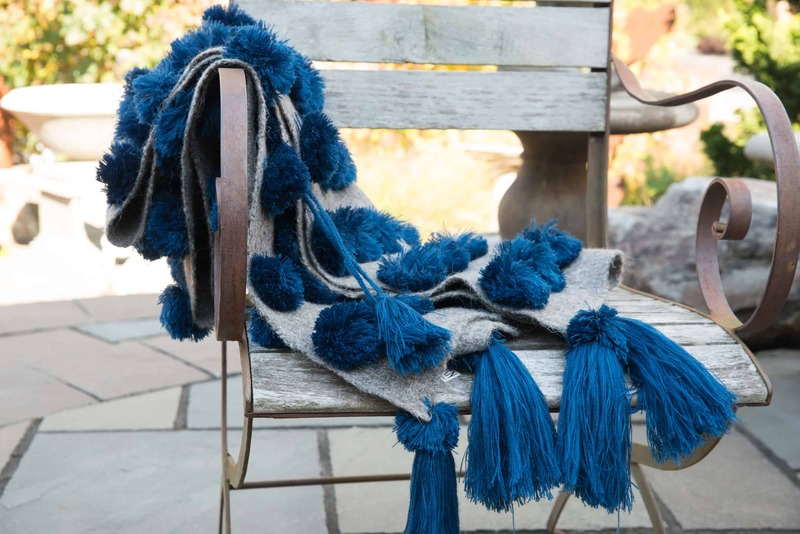 Use a beautiful throw with an abundance of tassels on a chair, your bed or maybe cover yourself with it. 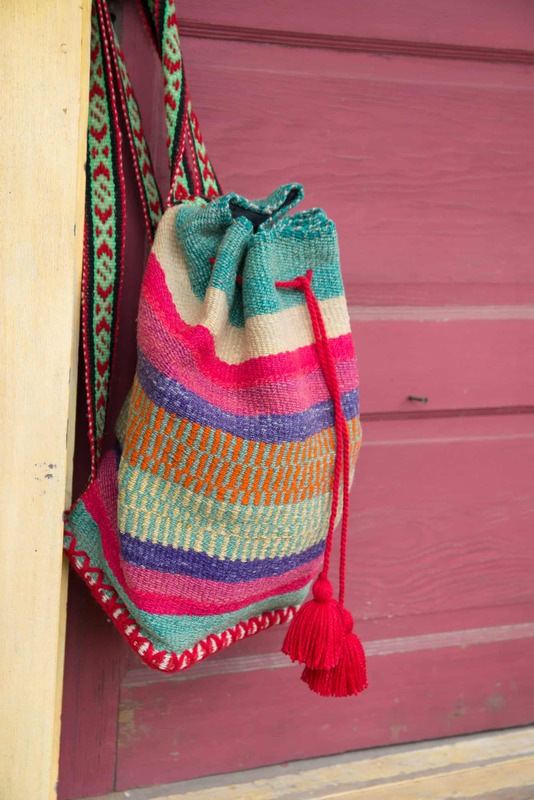 A colorful backpack become an accent piece when it’s not in use. Display it in full sight to add a vibrant touch. Blend old and new with reckless abandon. Mix your patterns and textures; your vintage and modern. 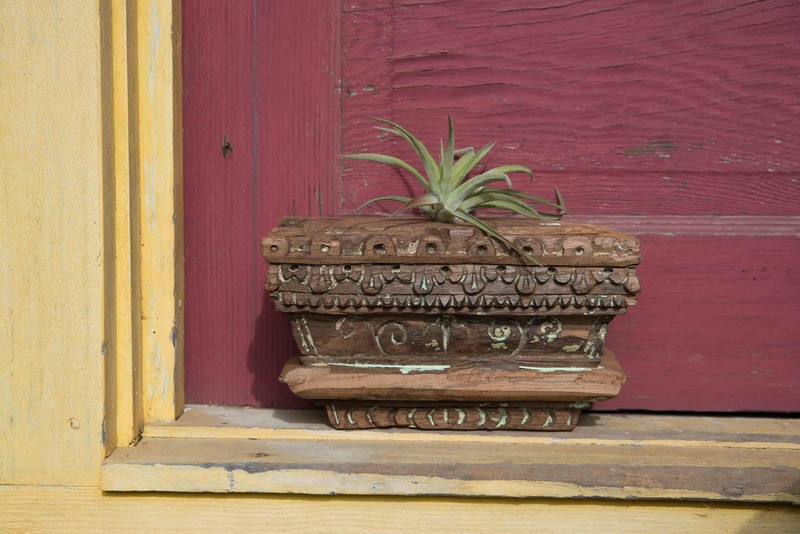 Use upcycled ornate wood pieces as a home for air plants. Add plants everywhere you can. 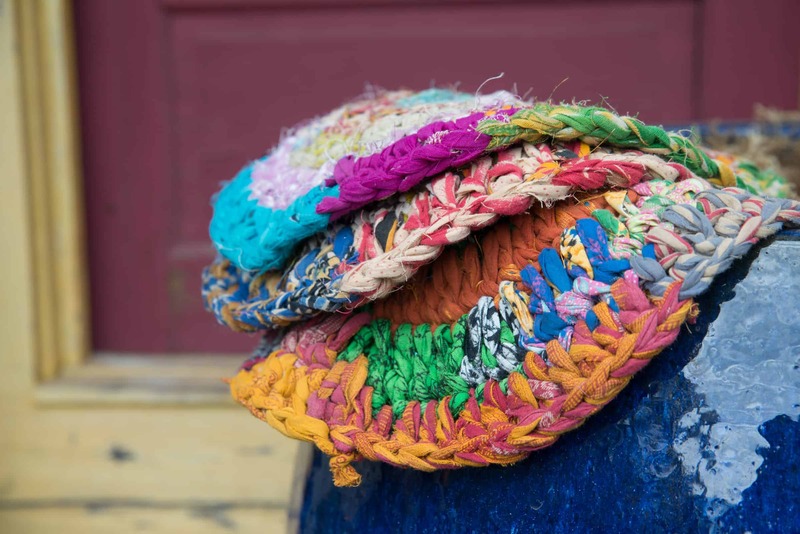 Embrace the diversity of your life and incorporate it into your own personal style. You will end up with a mélange of memorable layers which create a space full of visual interest and creativity. 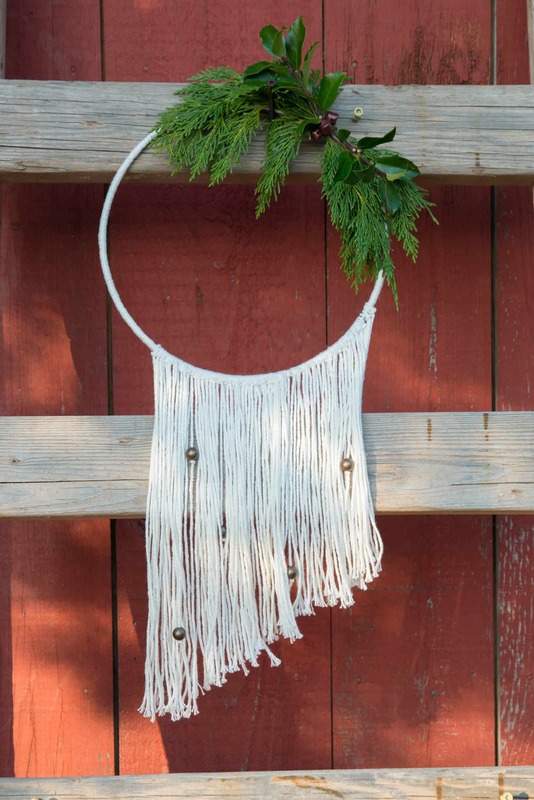 Sign up for our upcoming workshop “How to Make a Boho Style Wreath” on December 1 at 11:00 and add a little boho to your holiday style!